International restaurants in Auckland are on the increase. The rise in multi-national visitors, and a general leaning in the culinary world to 'fuse' cuisines, means it's easy to find restaurants that have a bit of everything on the menu. 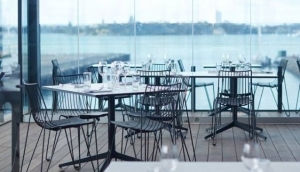 Auckland International restaurants are a mix of award-winning fine dining establishments, and casual, affordable eateries that are simply keen to offer something for everyone. A short walk around the CBD and you'll have found dozens of restaurants from many countries. If you're keen to mix and match, though, head to Viaduct Harbour for some 'world cuisine', at any one of the waterfront restaurants. Mangere and Manurewa are very ethnically diverse suburbs, so you'll find a very good range of lesser known cuisines here, many of which have combined menus to offer a wider variety of dishes to their customers. If you're feeling flush, there are some very good restaurants in Mt Eden that have an intimate atmosphere and ever-changing menu. Parnell is the place to go if you're undecided what you want - there's everything here, particularly along Parnell Road. Kingsland and Newton are both worth investigating, for their burgeoning restaurant scenes. With everything from sushi rolls and oriental noodle dishes, to Indian curries and pure Italian pizzas, this conglomeration of eight separate kitchens in one restaurant..